Lifetime is beefing up its TV film slate for next year, increasing the total to 75 movies and has signed on “Good Morning America” host Robin Roberts to help with the endevor. 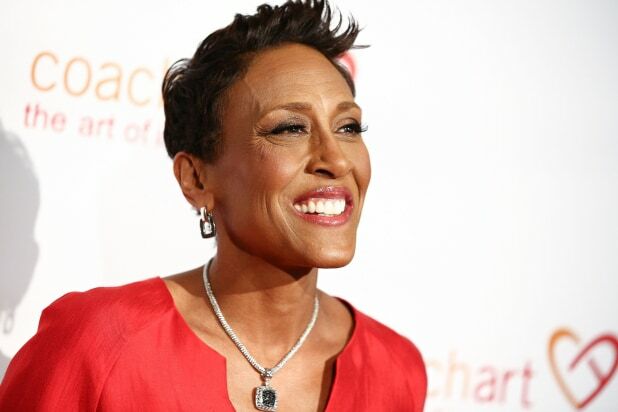 The female-skewing network has signed Roberts to a production deal for a series of movies and documentaries that will all fall under the banner, “Robin Roberts Presents.” The network also detailed the first two projects from Roberts. The first one will focus on African American Gospel singer Mahalia Jackson, whose inspirational music and faith were a great support for Martin Luther King Jr. and the civil rights movement. Roberts will executive produce the movie alongside Linda Berman of Lincoln Square Productions, with a script written by Bettina Gilois. The second project is based on the true story of Alexis Manigo, who at age 18, discovers her real name is Kamiyah Mobley and that she had been abducted as a baby from a Jacksonville, Florida hospital. Roberts and Berman will executive produce this as well, alongside Gary Randall, Michele Samit and Richard Kletter. Samit and Kletter also serve as writers for the script. Each movie will be followed by a companion documentary that will feature the real-life versions of the characters. The docs will be executive produced by Roberts and John R. Green as a production collaboration between Rock’n Robin and Lincoln Square Productions for Lifetime. An anthology series with producer Bishop T.D. Jakes, based on Victoria Christopher Murray’s “Seven Deadly Sins” book series. The first three- “Lust,” “Envy,” and “Greed” will air next year. Five movies based on V.C. Andrews’ “Casteel” book series. The first of the movies, “V.C. Andrews’ Heaven,” stars Annalise Basso, Julie Benz, Chris William Martin, and Chris McNally. “Somebody’s Someone,” based on a memoir about Regina Louise (who will be played by Angela Fairley), a young African-American girl who navigated over 30 foster homes and psychiatric facilities before age 18, and the one woman, Jeanne (Ginnifer Goodwin), who believed in her. Lifetime is also partnering with the “Be Me Be Free” anxiety empowerment campaign, which encourages teens and young adults to share their own stories in an effort to empower others from feeling alone in their feelings. Lifetime will turn one of the submitted stories into a movie to air next year. 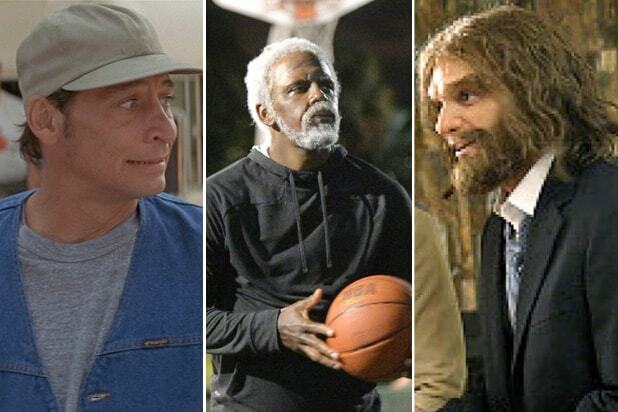 Pepsi's commercials featuring NBA star Kyrie Irving as the elderly basketball superstar Uncle Drew have become so popular that they spawned a full-length movie. This isn't the first 30-second ad to inspire a full-length movie or TV series. This NBC TV movie was based o one of the most famous Super Bowl commercials of all time, in which Pittsburgh Steelers star "Mean" Joe Greene, known as one of the most intimidating defensive linemen in the NFL, hands a starstruck kid his towel after the boy offers him a Coke. The kid was played by Henry Thomas, who would become a big star a year later as Elliott in "E.T." In the 1980s, actor Jim Varney became famous for local TV ads playing Ernest P. Worrell, a denim- and baseball-cap-wearing pest with the catchphrase, "Know what I mean?" The ads became so popular that Varney played Ernest in a Saturday morning TV show as well as a series of low-budget movies from 1987 to 1998. While the full plot of "Space Jam" didn't come from an ad, Bugs Bunny and Michael Jordan first teamed up in the commercial "Hare Jordan," which aired during the Super Bowl in 1992. The ad was such a hit that Warner Bros. looked for a way to bring the duo to the big screen. "Space Jam," a cult classic among '90s kids, was the result. The short-lived and widely mocked ABC sitcom was based on a series of Geico ads about modern-day cavemen insulted by the insurance company's slogan "So easy a caveman could do it." The commercial's creator, Joe Lawson, went on to write for "Modern Family" and "BoJack Horseman," the latter of which earned him a WGA Award. This CBS sitcom, based on a talking 6-month-old who appeared in ads for the internet provider FreeInternet.Com, was taken off the air after nine episodes. The Baby Bob character later appeared in ads for Quiznos, and the concept was later used in ads for E*Trade. In a beloved 2012 commercial, NBA star Kyrie Irving surprised the crowd at a New Jersey pick-up game disguised as the elderly Uncle Drew. The new Lionsgate film builds a plot around the character, with retired basketball stars like Shaquille O'Neal, Reggie Miller, Chris Webber and Lisa Leslie getting into the old-man makeup.